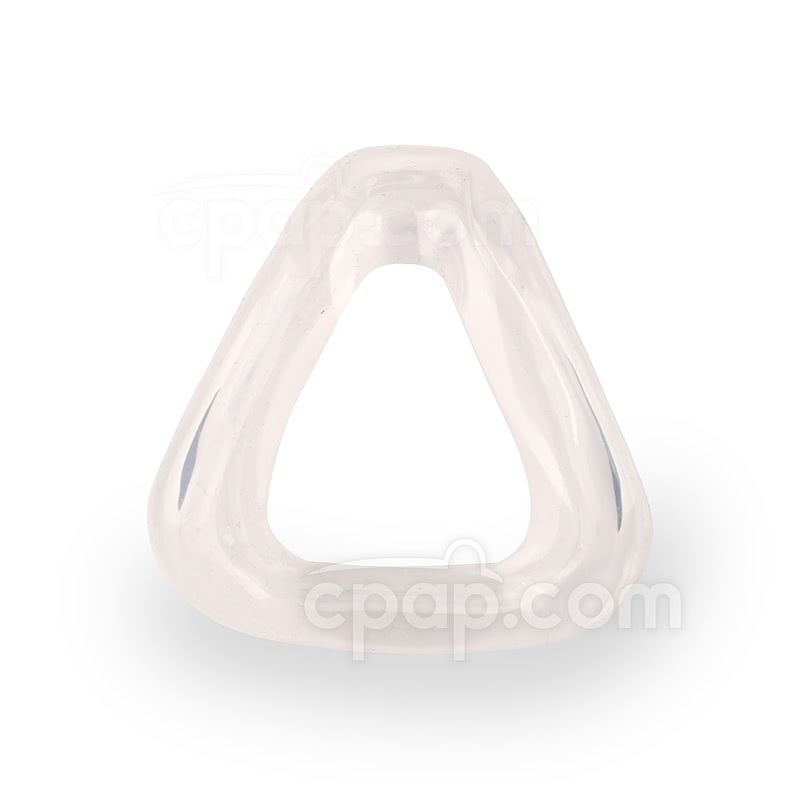 The D100 Nasal CPAP Mask with Headgear by Devilbiss provides several features to customize the mask to create the best fit and seal possible. 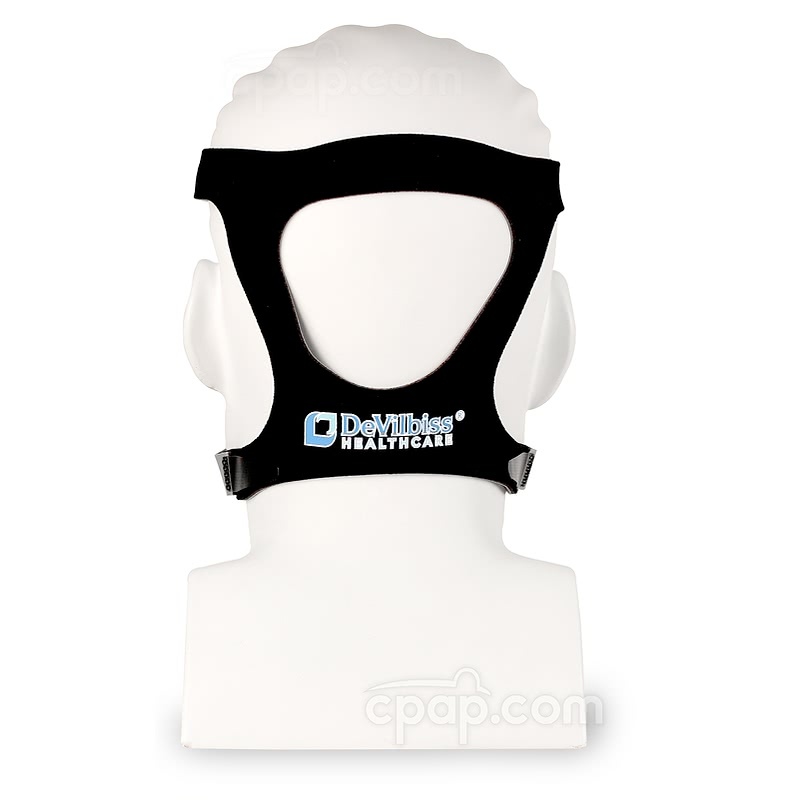 Featured are an adjustable headgear and three forehead pads of different size. 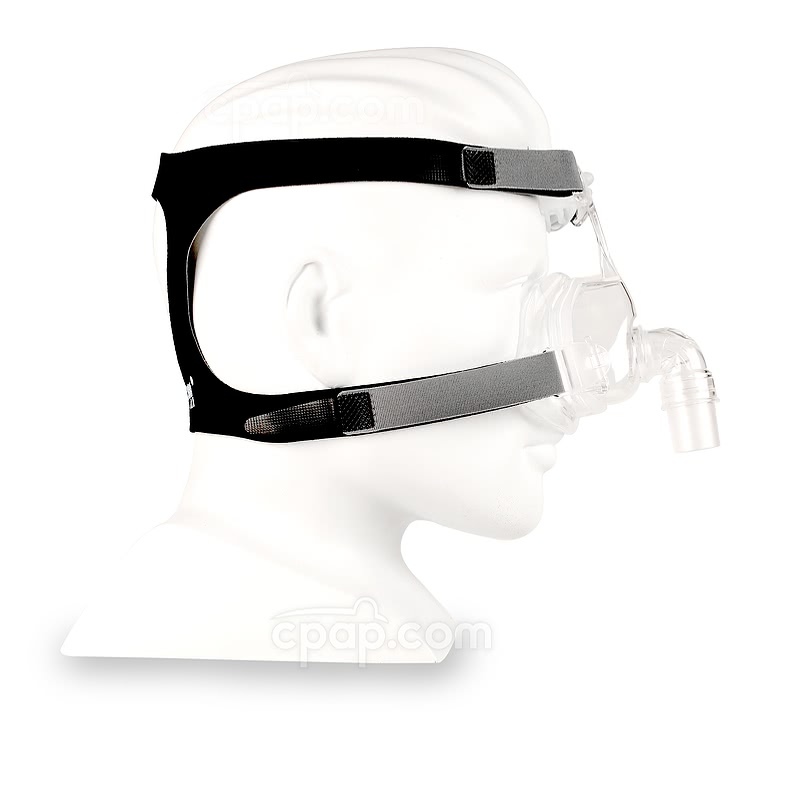 The D100 Nasal CPAP Mask with Headgear is a cost-effective mask that offers many features while remaining simple to use. 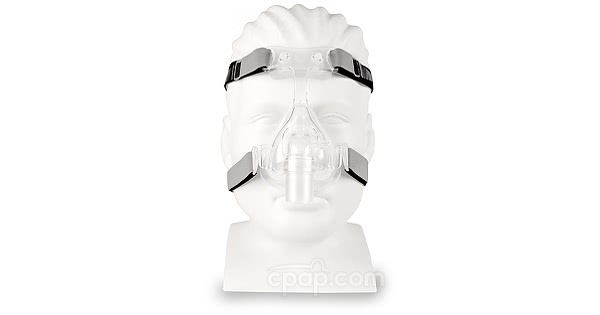 This is a nasal mask and covers only the nose during therapy. The D100 Nasal Mask makes things simple with easy release headgear clips on the bottom headgear straps which allow the mask to easily be removed and replaced. Removing the entire headgear for cleaning is also easy with slots in the forehead support for the headgear to easily slide in and out. 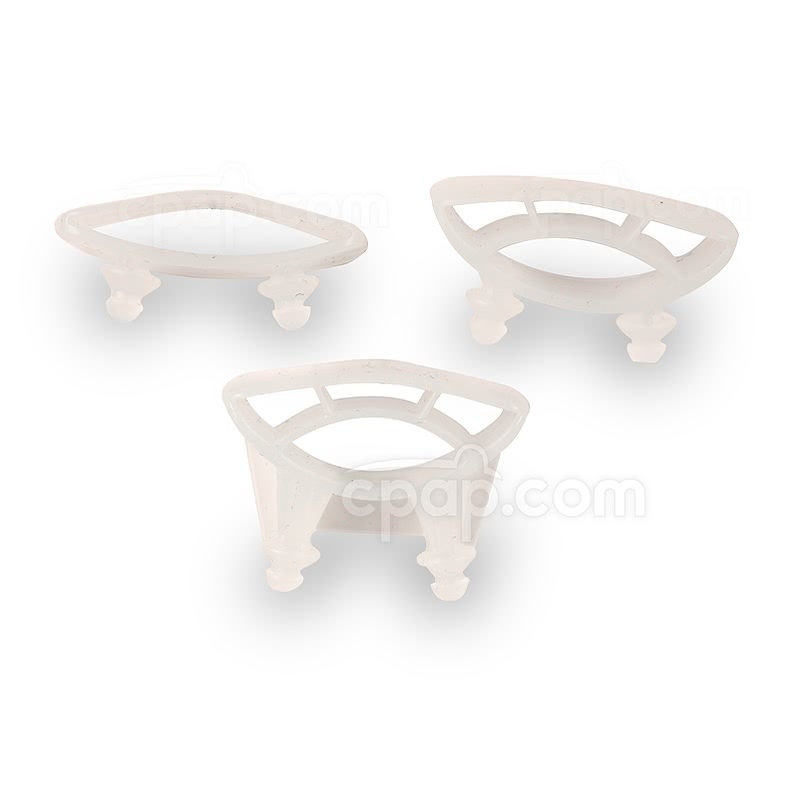 The slotted cushion can be easily pulled off, realigned, and pushed back onto the frame. 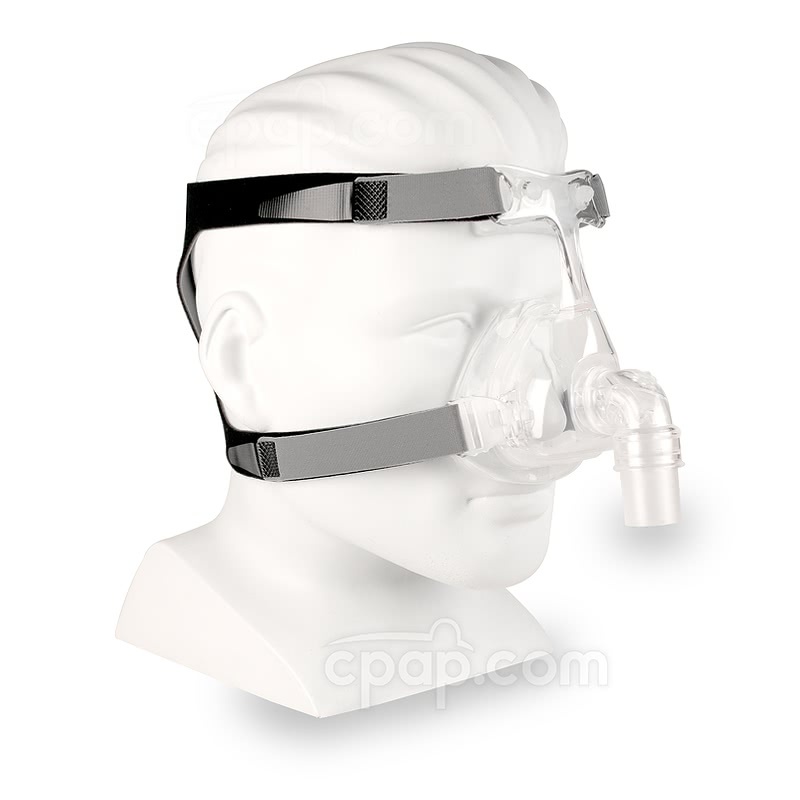 The D100 Nasal Mask is available in three sizes: Small, Medium, and Large. For added customization, the mask will come packaged with three sizes of easily changed forehead pads. The forehead pads can be used to select the best depth to position the mask on the bridge of the nose. Further fine-tuning can be obtained through the adjustable headgear with built in Velcro tabs. The D100 is lightweight and will not burden the face during the night. 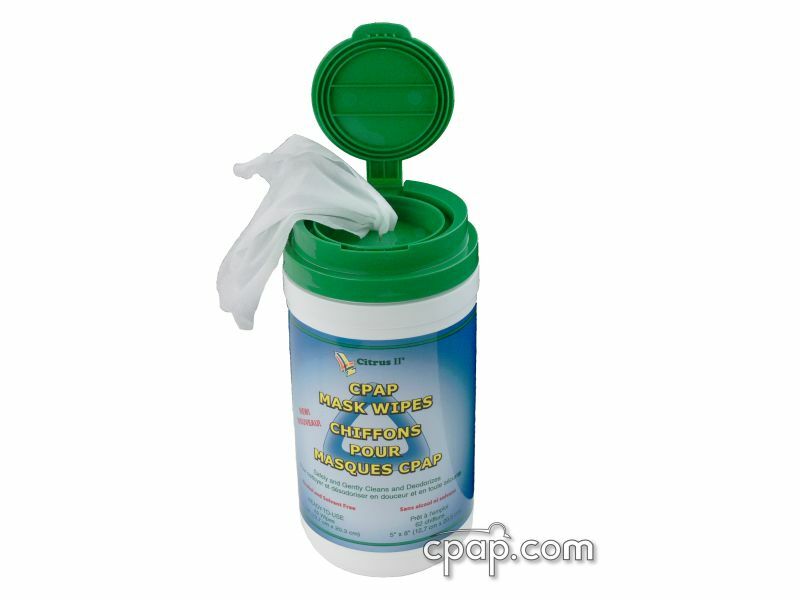 A 360° swivel allows for an attached CPAP hose to move freely as sleeping positions change. 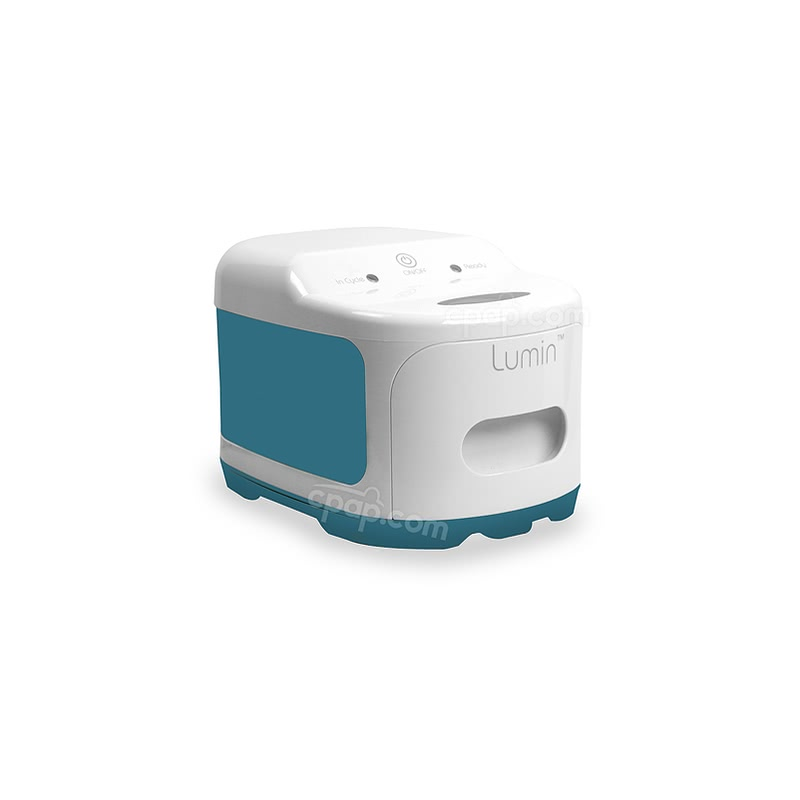 A built in oxygen port allows for supplemental oxygen to be added to CPAP therapy without the need of an additional adapter. 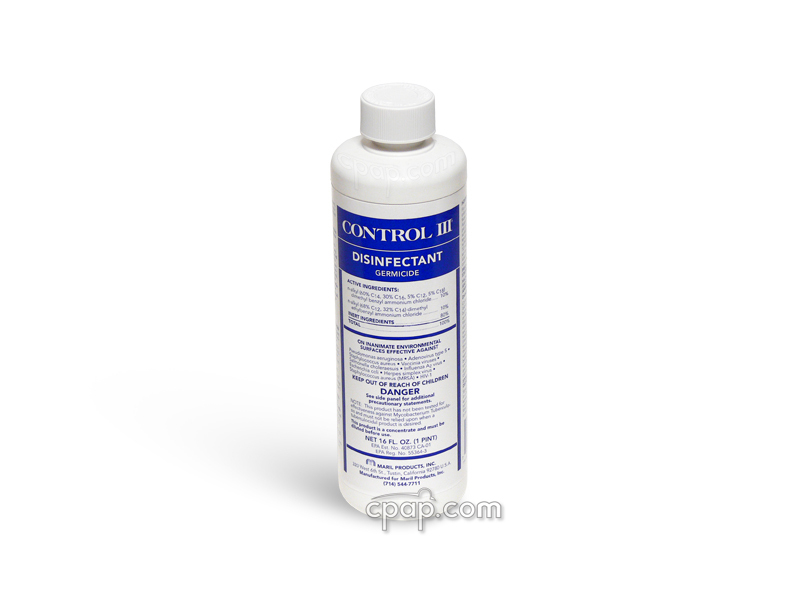 Simply uncap the oxygen port to attach oxygen tubing or leave the cap on if no oxygen is needed. Looking for a full face mask? The D100 Full Face Mask can be viewed here. 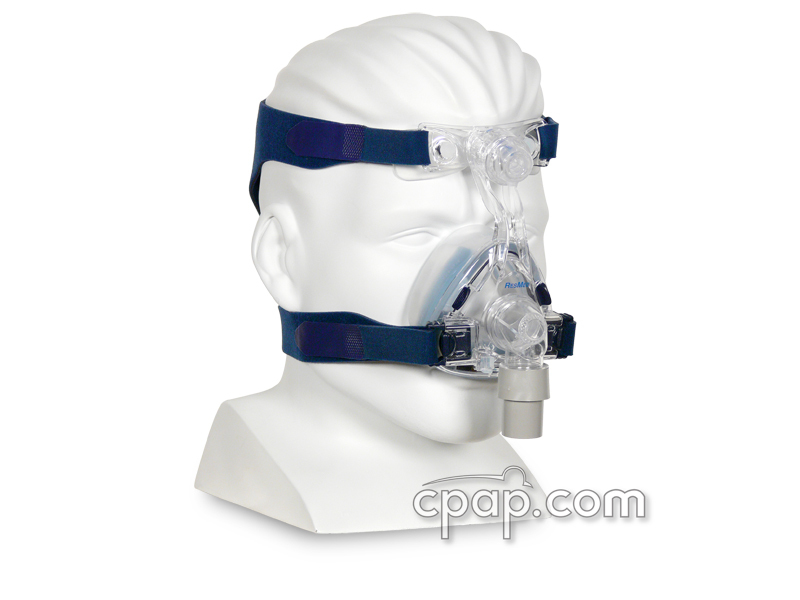 User Guide: To view the D100 Nasal CPAP Mask User Guide, click here. 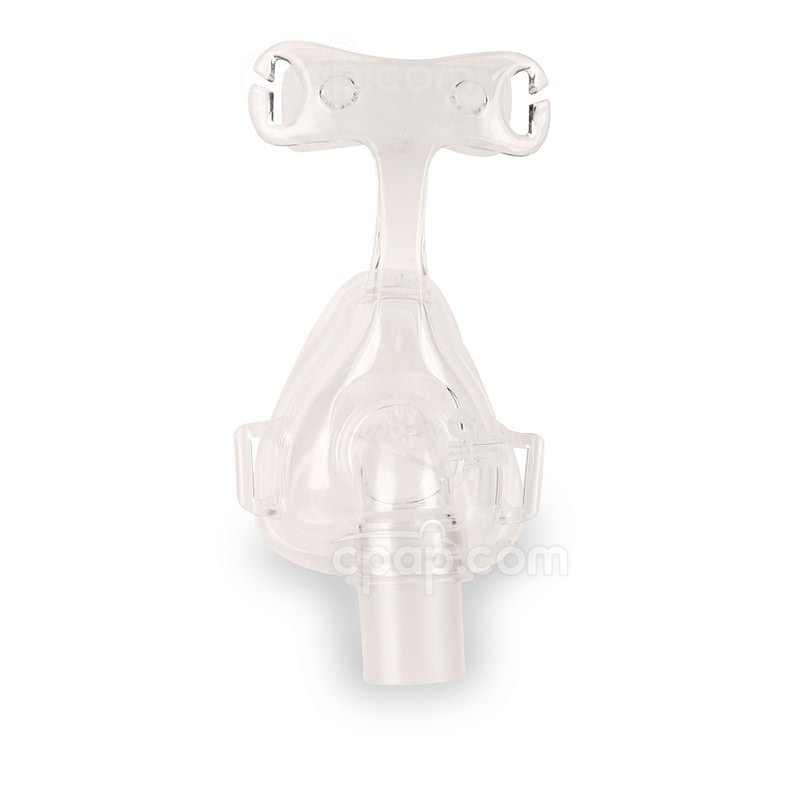 Fitting Tips: To view fitting tips for the D100 Nasal CPAP Mask, click here. The Cushion for the D100 Nasal CPAP Mask mask is replaceable. The mask frame does not have an identifiable size because it is designed to offer a universal fit to each of the D100 Nasal cushions. To find the size of the nasal cushion, turn the mask to view the flat bottom of the mask frame and nasal cushion. The words "S M A L L," "M E D I U M," or "L A R G E" will be found near the lip that secures the cushion to the mask frame.